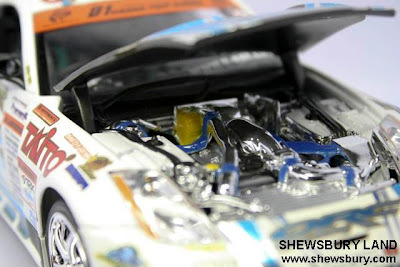 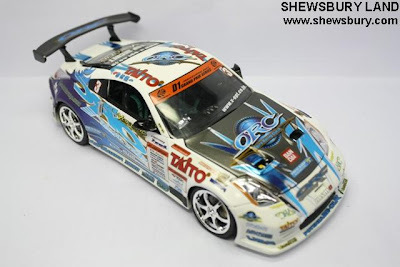 This is 1/24 scale ORC Nissan Fairlady Z3 2006 produced by Hot Works Racing Factory. 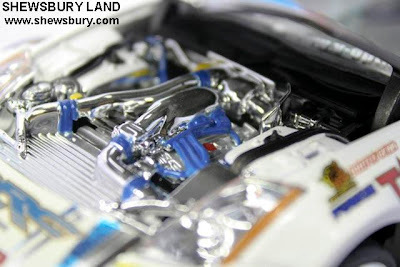 This gorgeously painted, completed die-cast metal and plastic model is intended for display only. 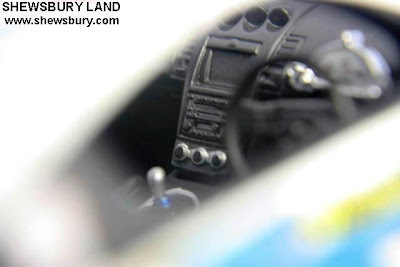 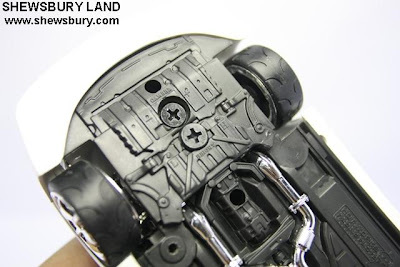 The details and graphics are absolutely fantastic--even the interior is finely detailed! 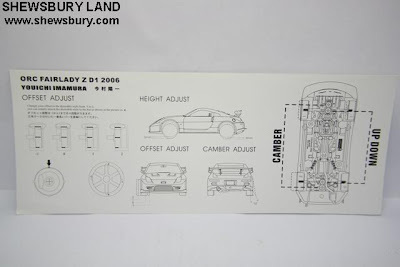 Plenty of tunable features, too: Camber can be set from 0-10 degrees, wheels can be offset four positions and the suspension can be raised or lowered 3mm. 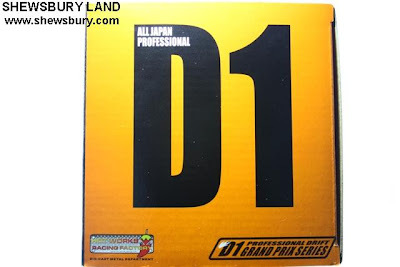 This is an authorized D1 Grand Prix product! 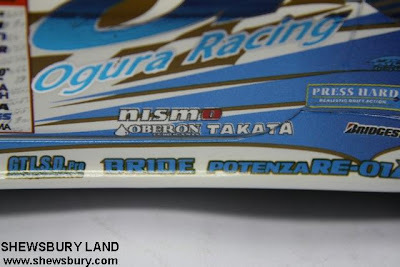 Accept no substitutes! 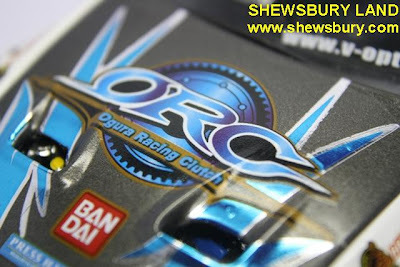 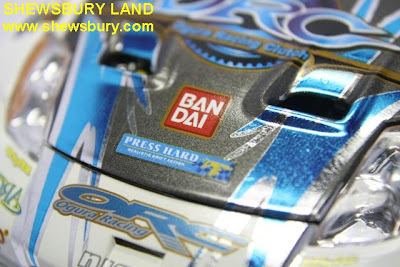 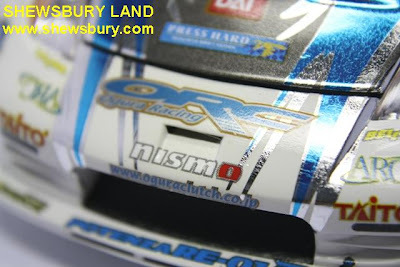 ORC (Ogura Racing Clutch), I believe they are the team main sponsor and partner. 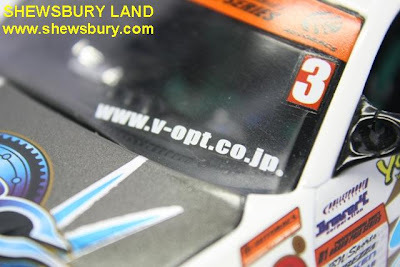 Youichi Imamura is the driver I believe, according to Wikipedia, he is the only two time D1 champion ever. 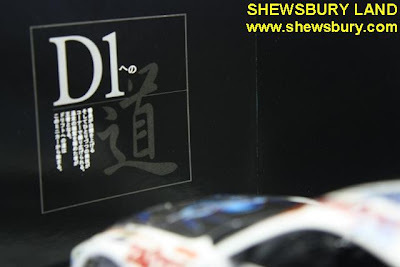 He also has the most wins of any D1 driver with ten wins. 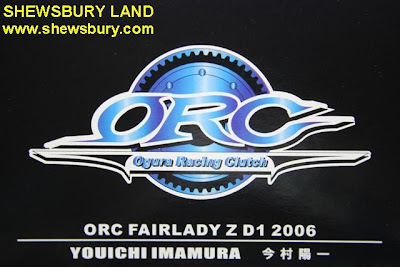 If I'm not mistaken, the team name is suppose to be ORC Top Secret. 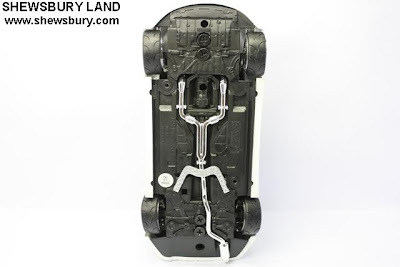 They provide this screw driver for you to detached the car from the holder. 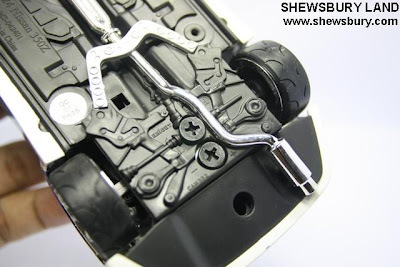 To be honest, I don't have much knowledge about car suspension system or wheel height adjustment or anything alike. 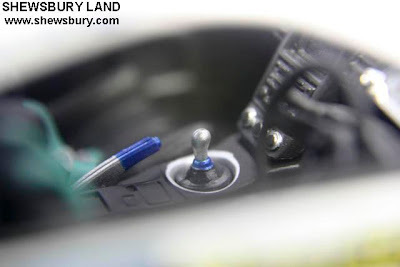 I remember doing it when I played that old PS One game, Gran Turismo 2 and I remember just playing around adjusting the settings and then drive the car for a time attack to get the feeling of that particular adjustment.... when you feel the car feel funny and have difficulties on braking and cornering then that means the settings need to be adjusted again.... repeating process till finally when you feel the car is quite balanced and feels good to drive fast or drift through the corner but evidently that is only in PS One game, not in real life situation. 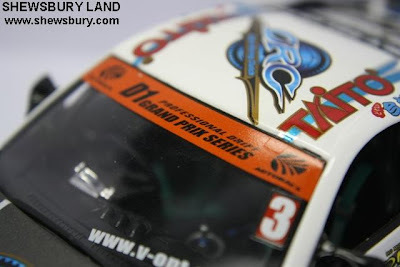 Sometimes I (or we) complain about the many decals of GunPla especially if it's a model of "Ver. 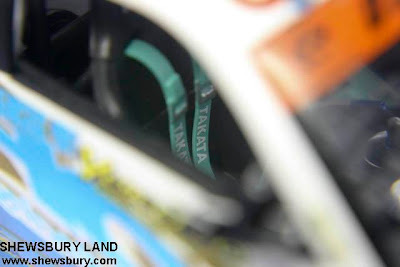 Ka. 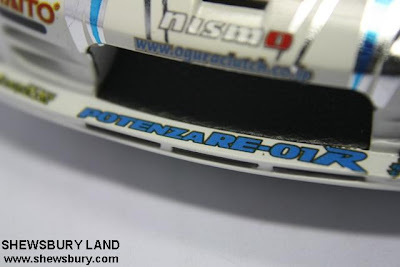 ", imagine if you have to do the decals of this car - in the actual 1/1 scale... that would be challenging isn't it? 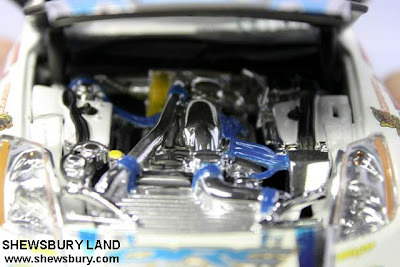 Although we can see the engine details of this car... unfortunately though, the door is sealed. 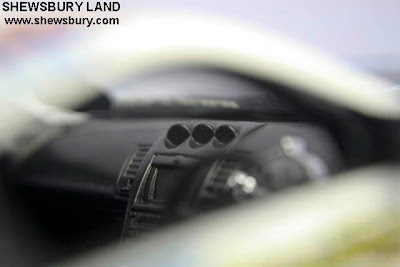 So it would be quit a challenge to capture those interior details using camera. 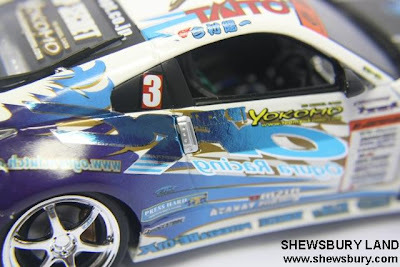 Nonetheless, with the help of some Macro/Close Up filters, I managed to capture some photos by just using the standard lens kit that I have. 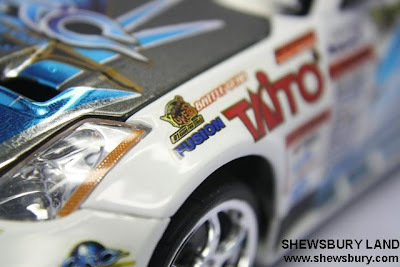 Overall, we are quite happy with this car, in fact we love it, the decals, the interior details (even though the fact that they sealed it), the engine details and the packaging. 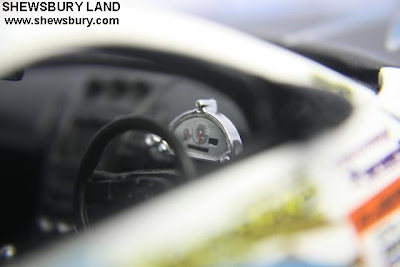 Everything is just nice. 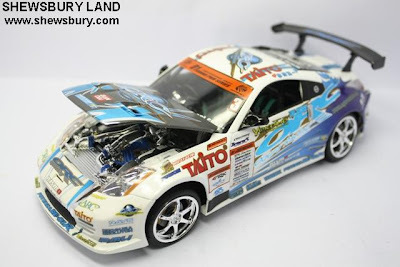 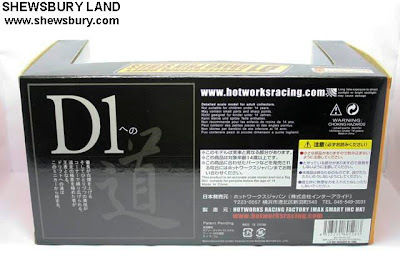 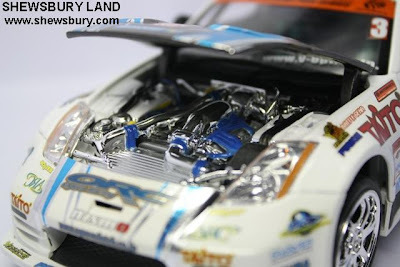 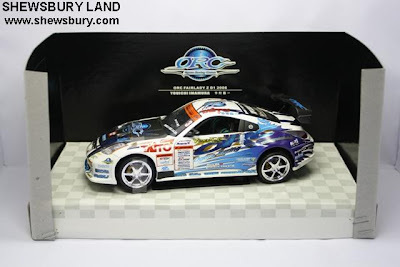 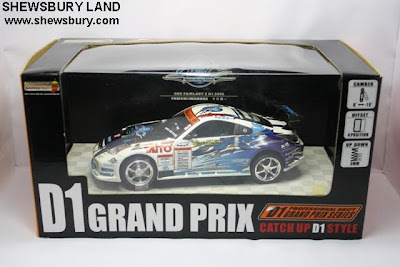 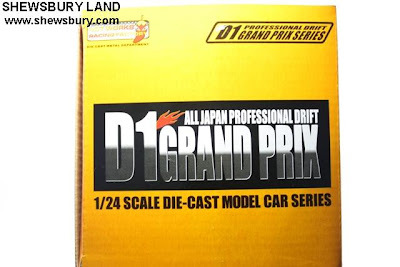 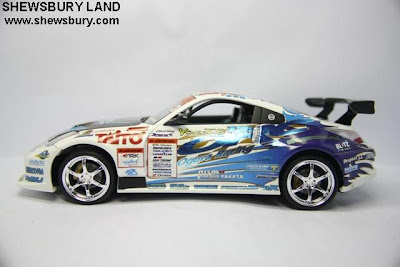 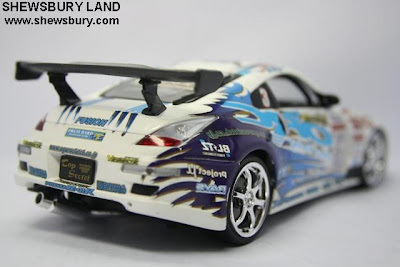 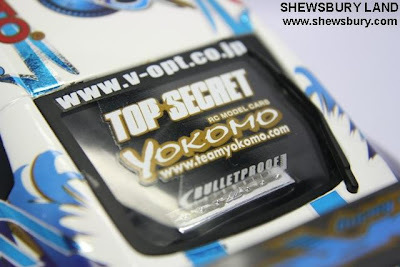 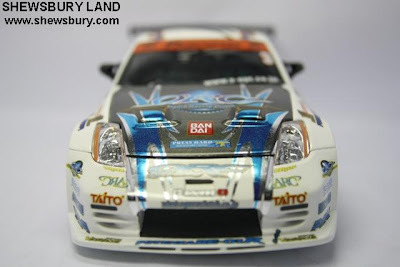 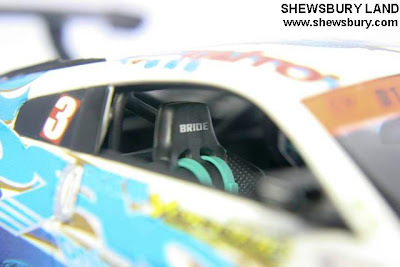 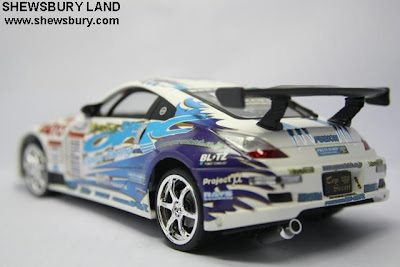 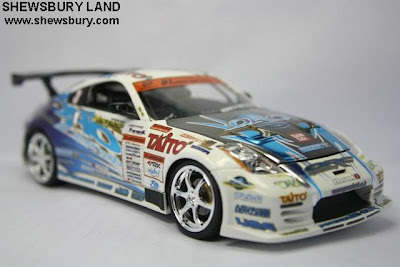 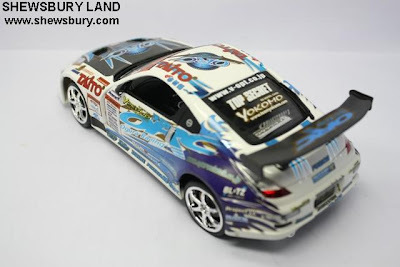 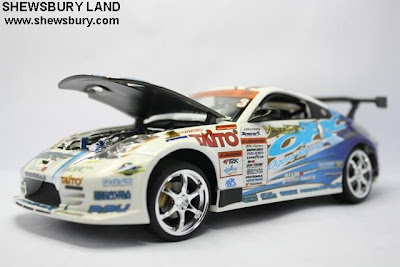 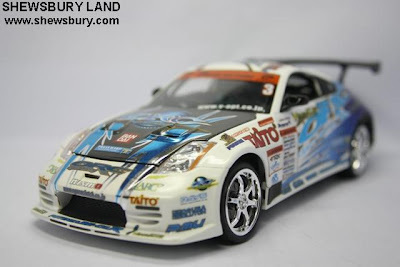 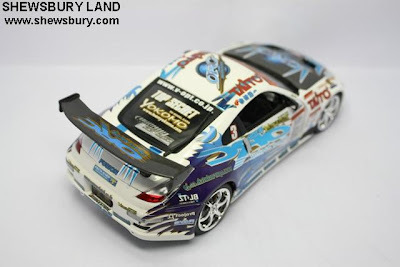 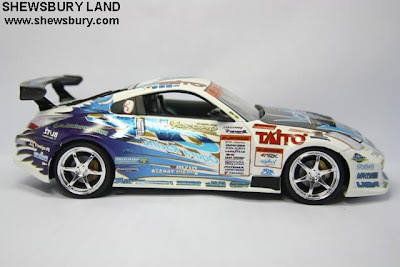 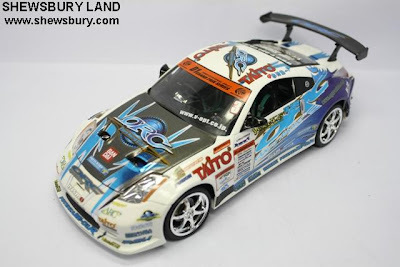 If you like scale model cars and if you like those Japanese models and if you like D1 GP and love to collect the cars you've seen in that series, you would probably buy this item. 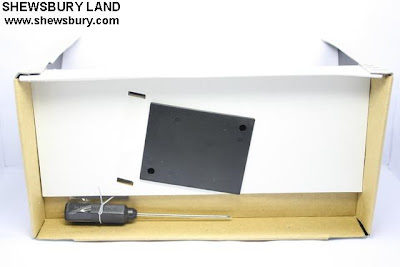 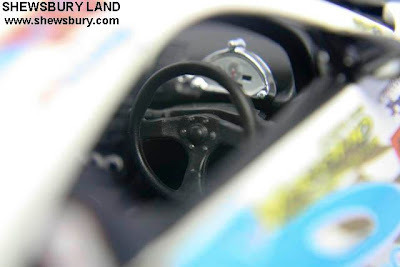 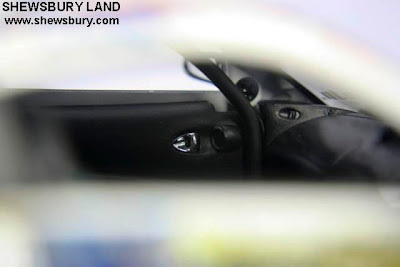 If you are a scale model car collectors who only prefer those western or European models or even those classic vintage models... this wont be your cup of tea.